It all began with a watchmaker’s trek over the mountains of Hakone. On July 15, 1887, the principal of an elementary school in the remote city of Hamamatsu, Japan summoned a young watchmaker / medical equipment repairman named Torakusu Yamaha. Torakusu was asked if he could fix the school’s beloved reed organ, and he agreed to give it a try. The principal of the school, one assumes, was delighted. There and then, a company was born. Encouraged by his success and recognizing the need for quality musical instruments, Torakusu began creating a prototype reed organ of his own. When it was complete, he decided to present it in person to the prestigious Music Institute (today’s Tokyo National University of Fine Arts and Music). 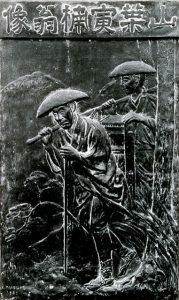 The journey between the two cities at that time was a long and difficult one: Torakusu literally slung his creation over his shoulder on a carrying pole and crossed the mountains of Hakone on foot. This historic trek was later immortalized in the bas-relief shown here. But the organ was not well-received – in fact, it was criticized harshly for its poor tuning. Undaunted, Torakusu began studying music theory in order to master the art of tuning. After months of grappling with technical obstacles, he was finally able to construct an organ with reliable tuning. Later that same year, Torakusu established the Nippon Gakki Company (which, in English, translates to “Japan Musical Instrument Company”) and started producing portable reed organs. By 1889, the company employed 100 people and manufactured some 250 instruments a year. 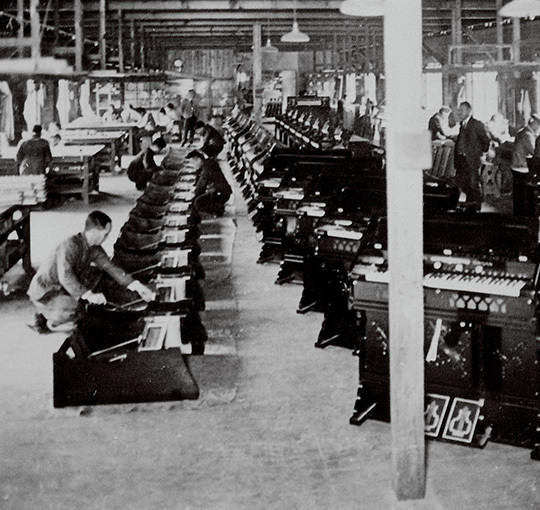 In 1899, Japan’s education ministry sent Torakusu to the United States to learn piano making. Nippon Gakki began manufacturing upright pianos in 1900, followed by grand pianos starting in 1902. In 1914, the company introduced their first harmonica and began exporting them worldwide. 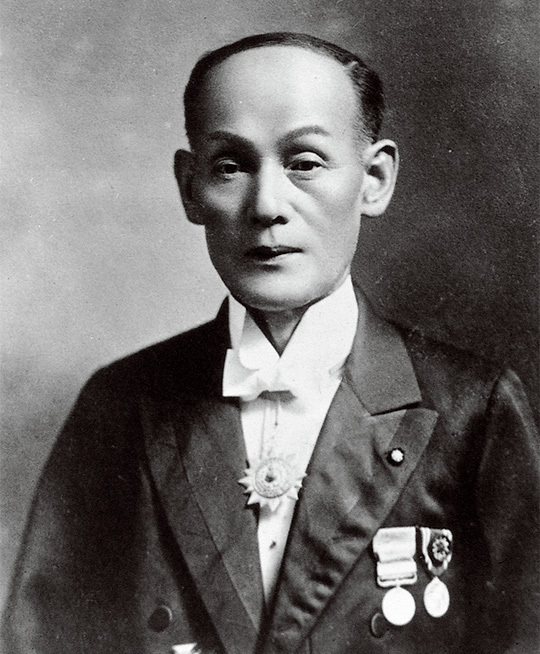 In the late 1940s, Genichi Kawakami, then-president of Yamaha, began looking for ways to apply the company’s expertise to the manufacture of motorcycles. In 1955, the success of the YA-1 “Red Dragonfly” resulted in the founding of Yamaha Motor Co., Ltd. At around the same time, Nippon Gakki began research into the use of new materials such as glass fiber reinforced plastic, resulting in products such as sailboats, yachts and oceangoing fishing vessels, as well as bows for archery and skiing – even bathtubs! That same research led to the development of lead alloy production equipment for boilers and central heating systems. Despite the worldwide success of Yamaha Motors, the central theme of Nippon Gakki remained true to its founder’s central interest: music. During the “Hi-Fi” boom of the 1950s, the company began producing audio components to help music lovers enjoy their leisure time. When integrated circuits began replacing transistors in the early 1970s, Nippon Gakki started making their own in order to meet the rapidly increasing demand for electronic keyboards and audio devices. In 1976, a factory to produce large scale integrated circuits was opened; soon thereafter, all Yamaha electronic keyboards were converted from analog to digital format. Not coincidentally, that same year saw a spate of new product releases, including the first Yamaha electric piano and synthesizer. The 1980s were a time of growth for Yamaha. In 1982, the Disklavier™ was unveiled – a revolutionary product that combined an acoustic piano with a built-in computer to record and play back performances. 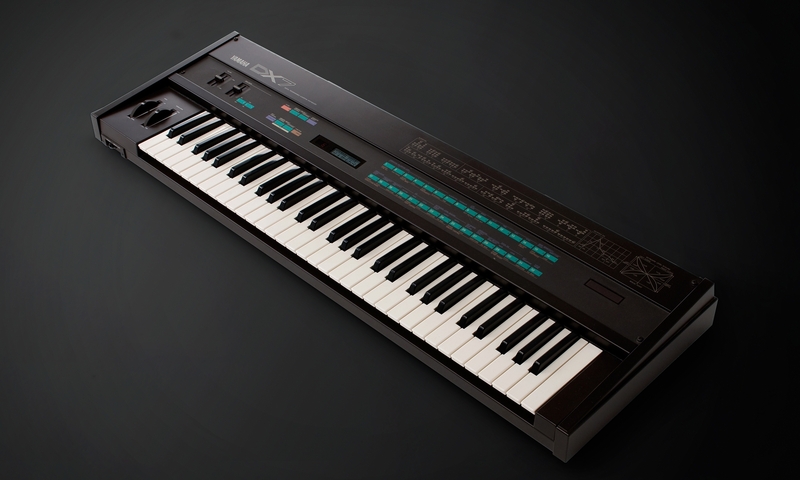 The DX7 digital synthesizer, introduced in 1983, quickly became the world’s best-selling synth. In 1987, Yamaha released its first digital mixer, followed in 1989 by the world’s first CD recorder. This was a trend that would continue. 1993 saw the introduction of the first of the innovative SILENT™ series – a piano that could be heard normally, or through headphones only. This was later followed by other SILENT instruments, including trumpet, drums, violin, cello, bass, guitar and viola. In 2009, Yamaha debuted the world’s first hybrid piano – an all-digital instrument that replicates the touch and feel of an acoustic piano without the cost or maintenance. In addition, Yamaha has acquired a number of other leading companies over the years, including piano manufacturer Bösendorfer; software developer Steinberg; and Line 6, maker of digital modeling guitars and amplifiers. In 1960, Nippon Gakki established the Yamaha International Corporation (later renamed Yamaha Corporation of America). 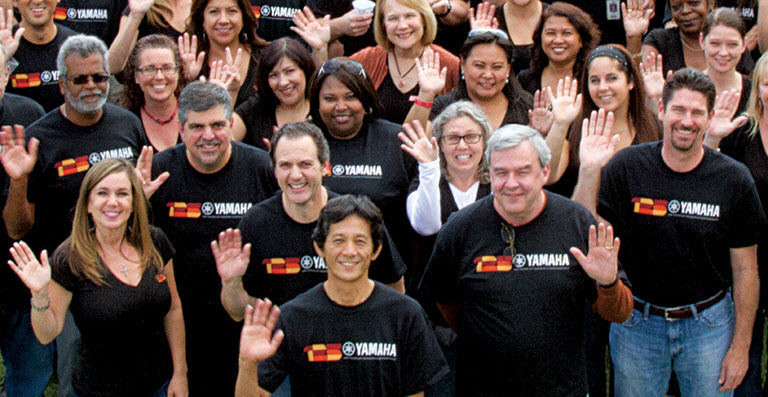 Today, Yamaha is the world’s largest manufacturer of musical instruments, as well as a leading manufacturer of semiconductors, AV components, computer-related products, sporting goods, household and furniture products, specialty metals, machine tools and industrial robots. Yamaha also continues its pioneering research in modern technologies such as the application of artificial intelligence to music-making and live performance. In 1898, Nippon Gakki adopted a tuning fork as the basis for an official company logo, inspired by the challenge faced by founder Torakusu Yamaha as he struggled to refine his reed organ prototype into one that held its tuning. The three tuning forks of the modern Yamaha logo symbolize the three essential musical elements: melody, harmony and rhythm. They also evoke the company’s reputation for sound and music the world over – a territory signified by the enclosing circle. After all, music is the universal language!